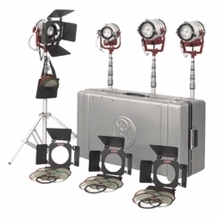 BarnDoor Lighting Offers a Large Selection of 3200K Quartz Lights for on Location or Studio Work. 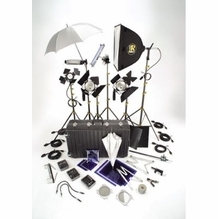 Tungsten, sometimes warmly referred to as 3200K for its color temperature, is the most accurate way to achieve color rendering of any light source. Because the colors are more vibrant, you'll be able to capture subjects such as food or products the best with tungsten lights. 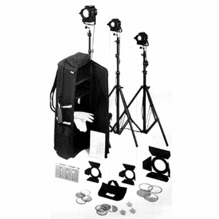 BarnDoor Lighting Outfitters offers many tungsten light kits to help you light simple portraits by creating three-point lighting or combine multiple tungsten film lighting kits for lighting larger scenes. 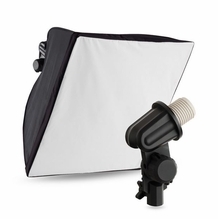 Choose from many high-quality kits or tungsten light fixtures. Pick from hard-case tungsten kits for extra protection while flying or select styles with soft cases for non-damaging vehicle transport. 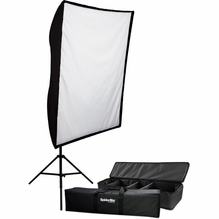 BarnDoor Lighting offers many inexpensive, lightweight and durable lighting kits. 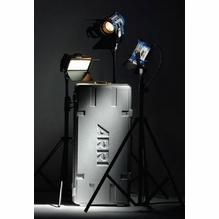 We have options such as affordable Lowel tungsten light kits to the complete, professional Arri, Mole-Richardson or Dedolight brands. 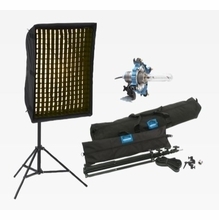 These complete lighting kits include everything you need for subject lighting, including light stands, barn doors and accessories. 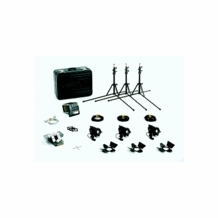 Each of these components has its own special location in the kit, so you can quickly find what you need while keeping pieces organized and protected. Select kits feature rolling wheels for fast and easy transportation around a set. Let the lighting experts at BarnDoor Lighting assist you with your purchase when you contact us at 1-888-276-3667 or info@barndoorlighting.com. If we don't have the right answer, we'll go the extra mile to find it for you.